We assessed the genetic relationships between members of the Fagaceae family by RAPDs in order to better ascertain the taxonomic status of a very particular population of Fagus sylvatica, the ‘tortuosa’ variety. Intra- and inter-population Nei and Li’s mean genetic distances were compared, and the genetic relationships between individuals were clarified on dendrograms by the Neighbor joining method. 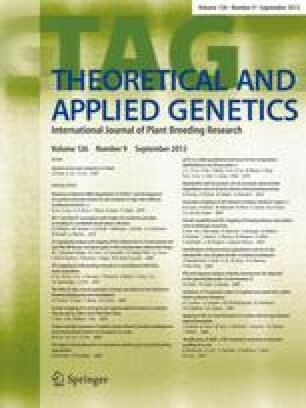 RAPD analysis was first conducted on three species from three genera, Quercus petraea, Castanea sativa, and Fagus sylvatica, in order to develop an efficient RAPD protocol. The variety level was then studied, and a general tendency of the individuals to cluster by variety was observed. Individuals also clustered by geographic locations, but the genetic distances between populations were not correlated to the distances between sites. Finally, we compared the common beech and ‘tortuosa’ varieties from two different locations, Verzy and Süntel. Both populations from one location were closer than the same variety from two sites. This last result is in agreement with those previously obtained with isozymes. Hypotheses concerning the origin of the ‘tortuosa’ variety are discussed.